The Battle of Blank Stares - You aren't a kids' show! 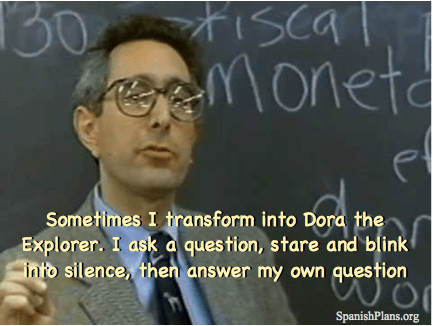 I saw this fun little meme from SpanishPlans.org and thought how often this happens to teachers, especially as students get older. But in my mind, this isn't ok. I already know the answer and don't need to prove it to my students, so what can we do to keep this from happening? Here's 5 easy tips to make your classtime go smoother. If you are met with stares and silence, ask anyone if they would like to wager a guess. Sometimes they just need a little prompting that it's ok to not be right. Everyone has their moments of insecurity, so help them through theirs instead of just supplying what you hope they will remember tomorrow. If prodding doesn't do the trick, walk your students backwards by asking related questions. "What do we call a note with one beat?" "Ta"
"What do we call a note with two beats?"" Ta-a"
"So what do you think we call a note with three beats?" "OOOOHHHH!!!!!!" 3. Have you ever considered you are a little boring? Sorry to be blunt, but if you are droning on and on and then all of a sudden ask a question, chances are they've tuned you out already. This is less and less noticible these days with more student-led learning, but if you find yourself lecturing often, try to turn the tables. Try a flipped lesson. Try an activity in centers. Try something that the students can work through in groups instead of sitting and listening to you practice your annunciation. Take a brain break, do a round of their favorite game, 10 jumping jacks or one of my favorite warm ups to wake up the voice and the body. Students sing the numbers 1,2,3,4,5,6,7,8,9,10 on one pitch, while shaking their right hand 10 times. Repeat with left hand, right foot, and left foot (or anything else if you want to be creative). Then the warm up repeats only going to 9, then 8 and so on until they get to 1. Sometimes, I change the notes on them in the middle with the piano. Other times, I challenge them to stay in tune the entire time on one note. Are they having trouble because a previous concept isn't solid? Is it the day after a long weekend and they're a little (a lot) tired? I've even asked kids if they have a lot of homework in other classes. When it isn't their normal to stare at you like you are a television, maybe they need a something else. Move on, come back to it later, or review the previous concept. You are their teacher and you know what they need. Help them out. How do you deal with blank stares? 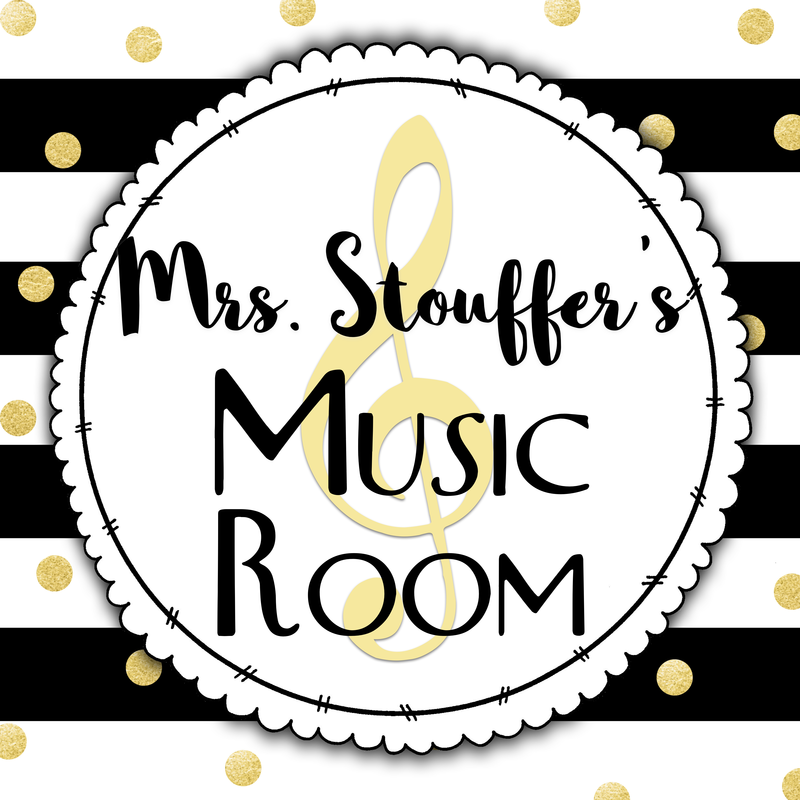 Melissa Stouffer is a music teacher in Michigan in her 7th year teaching. I teach middle school band, 3rd to 8th grade choir and general music for ages 3 to 8th grade. I love making music with all musicians young and old. 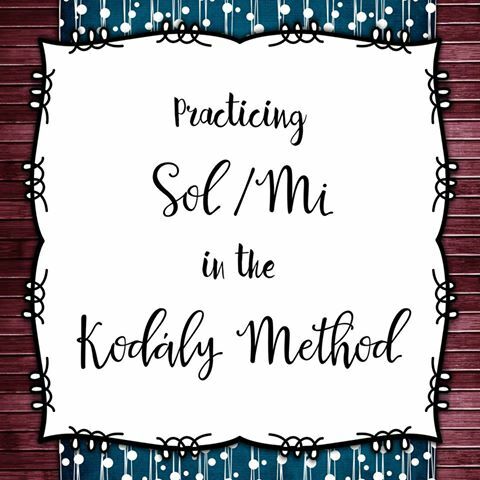 I'm President Elect of the Michigan Kodaly Educators. In addition to teaching, I enjoy creating educational resources to share on Teachers Pay Teachers with other music teachers. Check out my store on TpT!